it's a Toaki Sg , not sure wether is from 84 or 94 ..
it's defitely a 70's model reissue.. which one? it looks new, she's been for more than a year ... just curious. what's its value in Euros?? Interesting. Model is the "50" sticker on the back. Not that clued about any like this. It's a copy of an early to mid '70s SG Standard. Even the harmonica bridge. Curious. 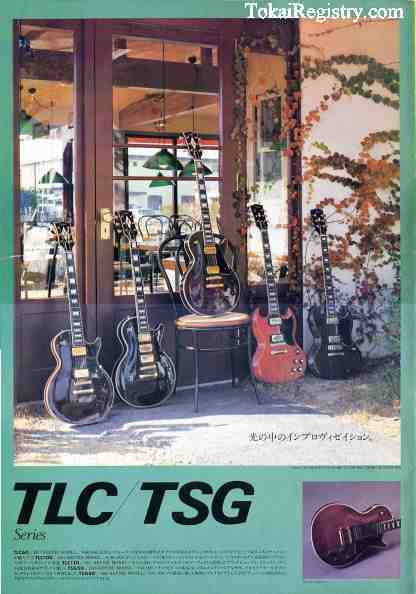 it seem as though the guitar you have is an TSG-50 from 1984. It is a replica of the 1973 Type IV SG. Hardware is chrome plate, not nickel, inlay markers are small square starting at 1st fret and walnut finish was only used on this model.